In collaboration with the “SpheronVR” company, this car-visualisation of a BMW X5 was created. Using the SpheroCam HDR we captured the lighting information at the set in a wholly spherical picture. During following rendering process at the PC the High Dynamic Range Image was used to create realistic shadows and reflections. In order to visualize the vehicle, specially measured paint finishes were used. So-called BRDF-Shaders (Bidirectional Reflectance Distribution Function Shader) are materials that can represent specific reflections on a surface under various lighting incidence angles. 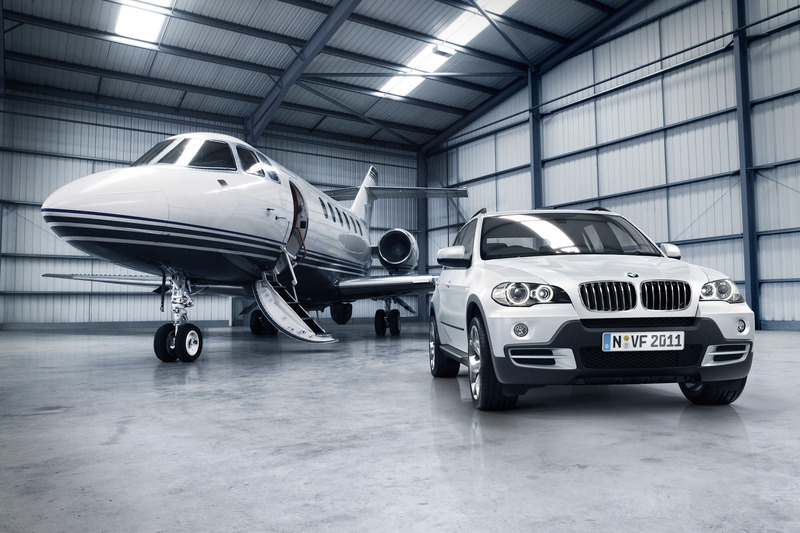 A rendering of the vehicle next to a jet inside a hangar was created this way.